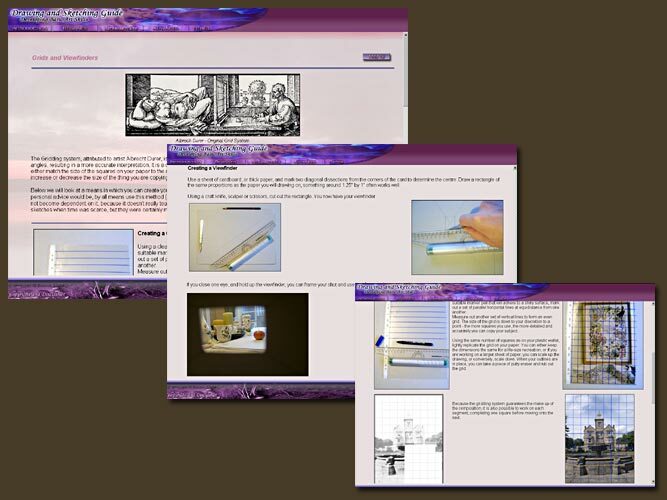 The Drawing and Sketching cd-rom guide is the better part of ten years old, and with the advent of newer technology it felt prudent to release it, free on the ArtGraphicA website. If you would like the convenience of owning the guide on CD to view offline at your leisure, it is still being sold at the massively reduced price of £4.99 (under $8 USD), and is shipped with a free copy of the Wildlife Art Guide. Aimed at Beginners, Intermediate and Advanced levels, the Drawing and Sketching Guide takes you through all aspects of learning to draw with 50 video demonstrations, animations and thorough step-by-step instructions. Learn to use charcoal, pencil and paint to render fantasy scenes, portraits, reproductions of old masters, wildlife, architecture etc, with many lessons teaching tricks, tips and techniques or how to develop the artist's eye. Read on below to find out more, and buy your copy using our secure shopping cart. 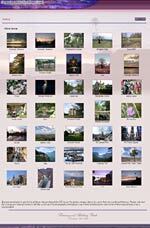 50 Videos, comprising of around 2 hours of video footage. Categorised into three sections: Beginner, Intermediate and Advanced. Animations, and thorough step-by-step instructions to all tutorials. Tips, tricks and techniques to help master the art of "seeing". Tools and techniques shown to facilitate the ease of using different mediums. Tutorials in graphite, pen and ink (with washes), charcoal/white pastel, and watercolour. 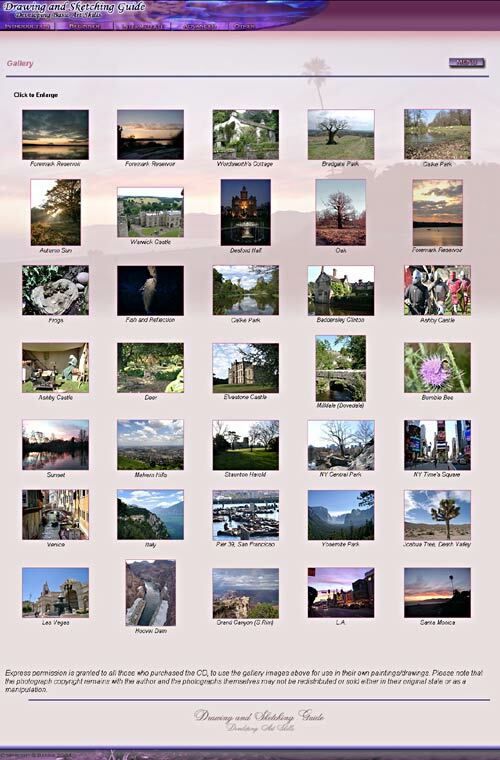 Click any of the small sample of screenshots in this section to enlarge (opens new browser window). Note, there is more to each section than can be shown in the screenshots. 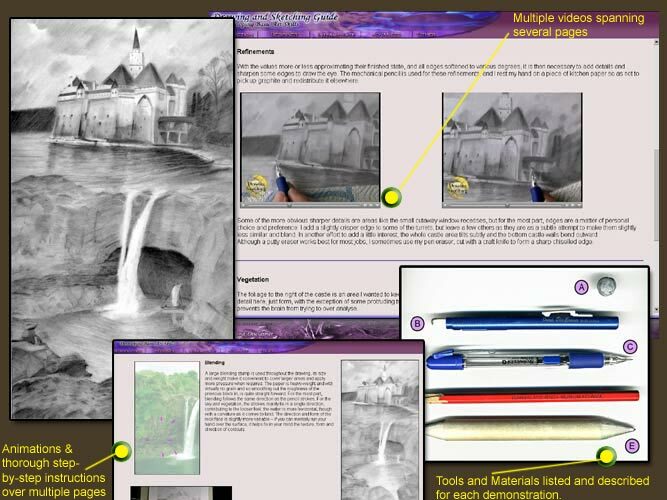 This Drawing and Sketching Multimedia Art Guide is aimed at all levels and abilities from beginner to the more advanced,teaching the principles of "seeing" so you can learn how to draw and develop current art skills. Learning the foundations will aid progress in all sorts of mediums form watercolours and oils to pastels and acrylics. 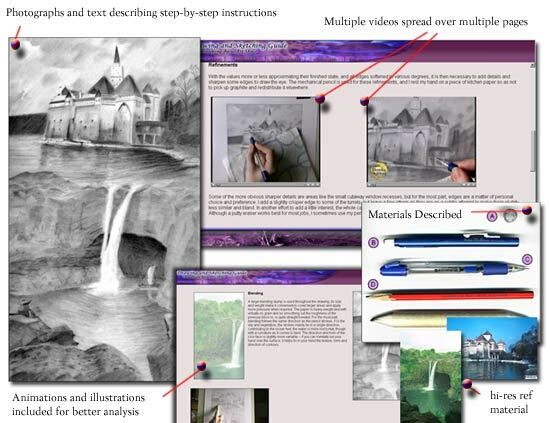 Combining the best of hardback book and video, this art guide takes a hands on approach to demonstrate different mediums and their use for enhancing your art skills across all levels, with intricate step-by-step descriptions, starting from the basic materials, to their application, illustrated through photographs, animations and numerous video clips. 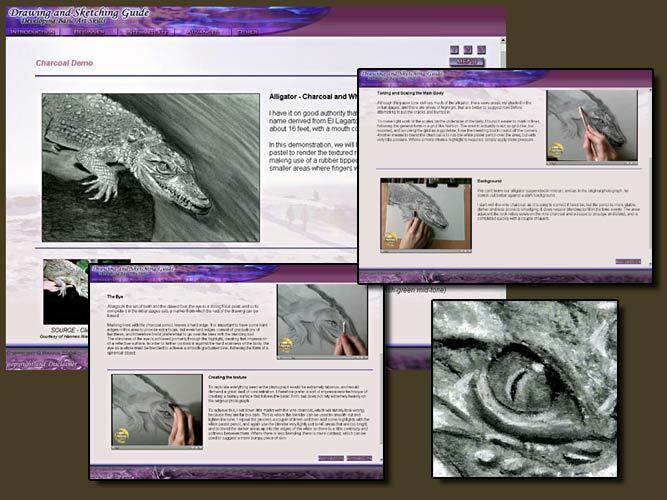 The videos provide a more intimate view of the drawing procedures over and above the static images found in a book, and can be viewed over and over. All software needed to view the pages is provided for on the CD which is logically laid out and easy to use and navigate; the contents of the CD are played directly from the CD itself without any need for installation onto your hard-drive. 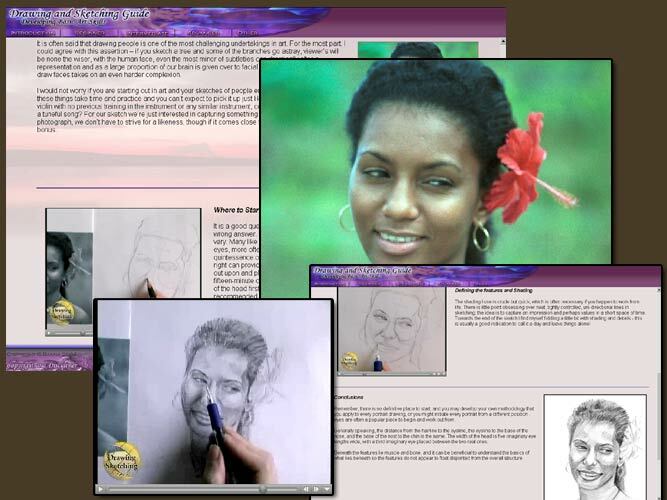 These are a few screenshots taken from the "Fantasy" pencil demonstration. Much more is covered in the fantasy section than we can show here, and each section on the CD displays in a similar format to that shown (see "CD Contents" above for full listing of sections on CD). 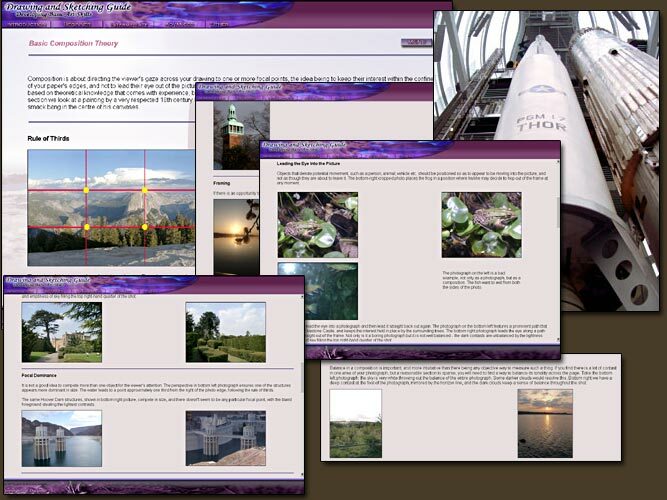 Screenshot of sample video on CD. Videos are broken up into clips up to 5 minutes each in length, with close ups when detailing. The CD-Rom contains almost 2 hours of video footage with a total of 50 videos over multiple demonstrations. 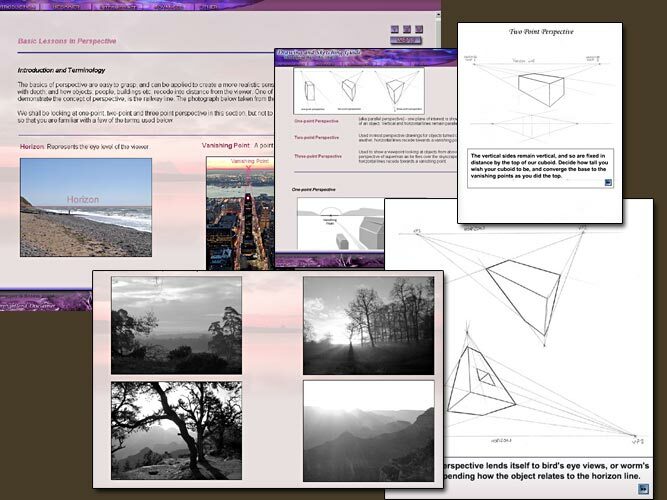 The landscape screenshot on the left is shown at actual size. IBM Compatible Pentium 266Mhz or faster. Screen Resolution: 1024 by 768 or higher. Drawing skills lay at the foundations of all creative expression in all mediums and are inescapable for anyone who wants to progress and improve their own artistic skills. "Drawing is not solely confined to using a pencil, and by teaching methods of drawing in multiple media, a whole new array of techniques can be acquired"The Drawing and Sketching Guide removes the added complication of colour and concentrates on the basics of drawing, using both charcoal, pencil and brush, so that when you come to pursue (or return to) iridescent watercolours, acrylic, oils etc. you are armed with the necessary skills to focus on the little technicalities as opposed to getting stuck or becoming undone in the basic drawing stages. For convenience and ease of use, the software operates in a normal Internet Browser which you are liable to already have installed on your computer, but comes packaged on the CD for easy installation should it be necessary. Software for viewing the videos and animations are also provided for should the software not already be installed on your machine, then all you need do is insert the CD-ROM and let it auto-play. The layout and navigation couldn't be simpler! What differentiates a drawing from a sketch? Typically it is the level of refinement, usually denoting the amount of time spent on a piece. To include as much video of the drawing process as possible, most tutorials work at a reasonable pace somewhere between sketching and drawing with a few demonstrates focusing specifically on sketching and others with a greater level of refinement. Whether beginner or more advanced artist alike, sketching is a great way to loosen up and work in a freer manner - great when you're on location or trying to capture a live model and working against the clock. 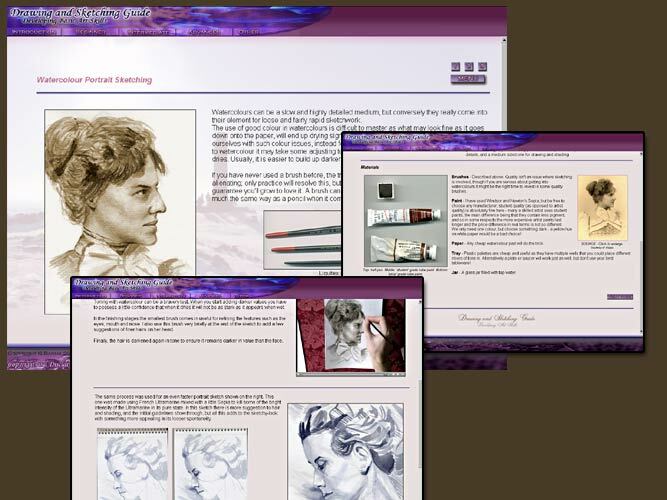 Whether taking lessons or teaching yourself, The Drawing and Sketching Art Guide provides the sort of up close intimacy that would be hard to find anywhere, and made all the better by knowing you can watch the same film, animations or instructions again and again. The demonstrations will start you from the very beginnings, from the materials you might consider using, to the decisions on where to start, and then every step up until completion. 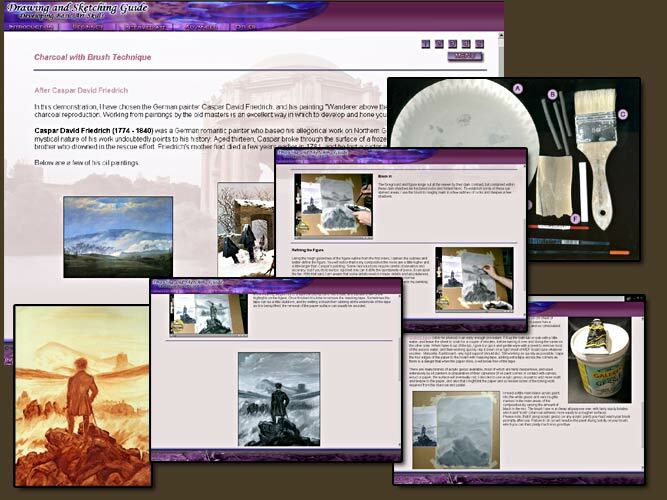 The guide has been written by an entirely self-taught artist who remembers very well all the teething problems and issues involved in becoming an artist. Drawing is synonymous with seeing. 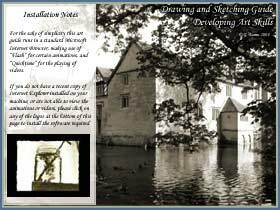 The Drawing and Sketching Art Guide examines various ways in which to analyse and break down a scene in terms of pattern, texture, simplification (adopting basic geometric shapes), and looks into the issues of shading and creating contrast and shadow to render drawings that look solid and three-dimensional. This ability to see the world is perhaps the hardest thing to convey because language alone cannot concisely translate another person's interpretations of seeing the world. 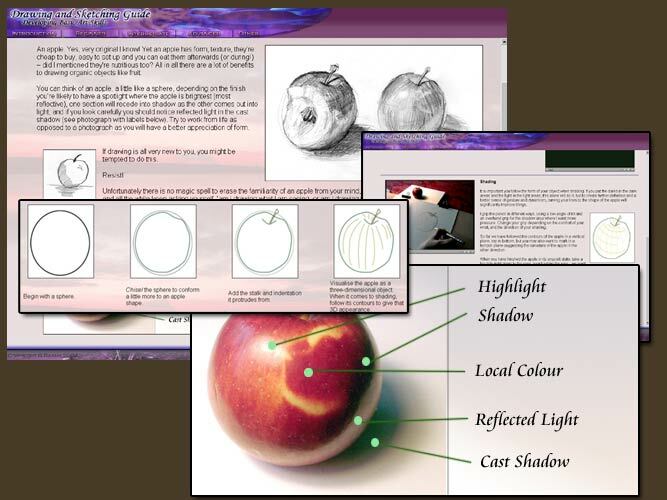 Between the hands-on specific demonstrations, other sections containing animations, video and photographs attempt to explain how to use plumblines, a pencil for measuring height and angles, simplified shapes for simplifying complicated scenes, the use of negative space, blind contour drawing, perspective, form etc. 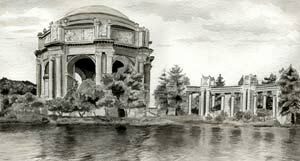 Drawing is not solely confined to using a pencil, and by teaching methods of drawing in multiple media, a whole new array of techniques can be acquired - when you learn a trick in one medium it can often be translated and adopted in another and thus advance the skill of the artist in a more efficient manner. Of course the prospect of new mediums may raise the fear of added expenditure, but none of the materials used in the guide need be expensive, amounting to a few pounds or dollars at most. 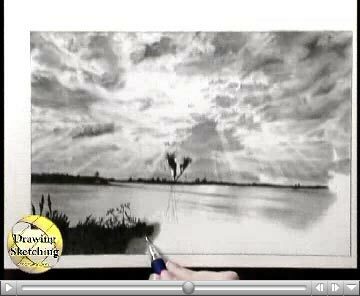 The Drawing and Sketching Art Guide gives clear and detailed instructions in all basic aspects of drawing. 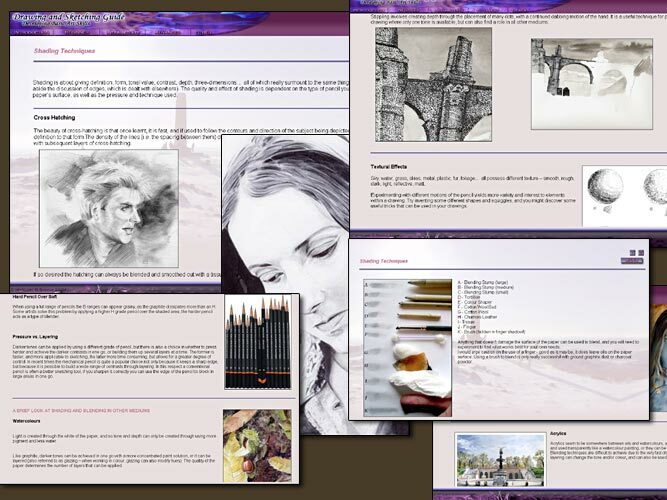 It's author has worked a number of years in graphic design and so is able to combine the necessary multimedia skills to the traditional and combine them into a professional and unique tool for artists of all abilities. A small sample of testimonials from our customer's. "I have struggled with drawing for years, even though I have purchased many books on the subject, I just couldn't replicate what I was being shown. 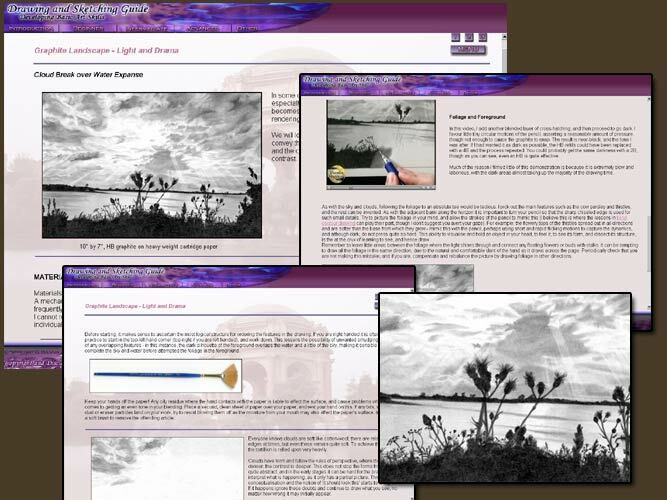 Since receiving the Art Cd, and being able to physically see the process through the videos and written descriptions, my progress has been amazing, I am thrilled to have finally found tuition that really has helped which is so easy to follow and understand." - Melody King, graphite/watercolourist. 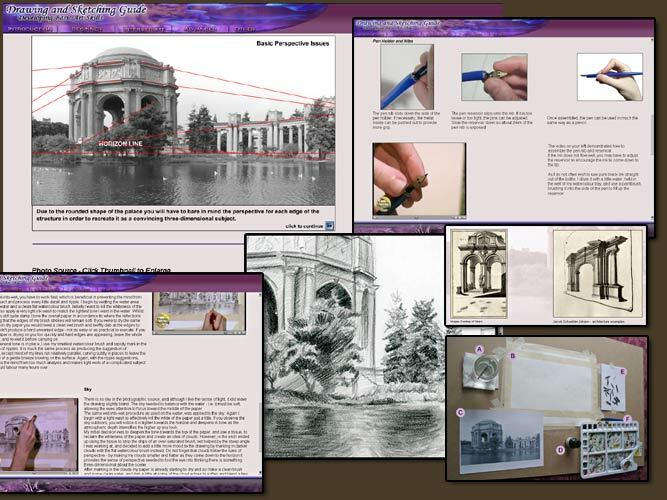 "The "Drawing and Sketching Guide" is this year's breakthrough resource in art instruction. Packed with tricks, tips, movies, animations and techniques for different mediums, the artist thoughtfully and gently eases you into the world of drawing and sketching as one would gently lay a baby into a cradle. Whether you are a beginner, an intermediate artist or a consummate professional, there is something here for you. This is a MUST HAVE resource for any serious student of art be they hobbyist or professional" - Jay Donovan ,graphite/coloured pencilist. "Having tried countless books and a few videos, I was beginning to lose heart having almost resigned myself to the title of failed artist. This CD inspired a whole new lease of life to my approach to drawing, and I feel I have gained years within the space of a few weeks. 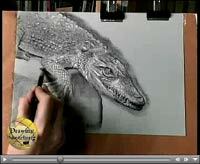 I would give this Drawing and Sketching Guide my highest recommendations to all." - David Green.